Huawei today at its P30 series launch even in Paris finally launched it’s much awaited Huawei P30 and P30 Pro smartphones. Huawei claims that the newly launched Huawei P30 is 30% faster than its previous version smartphones. 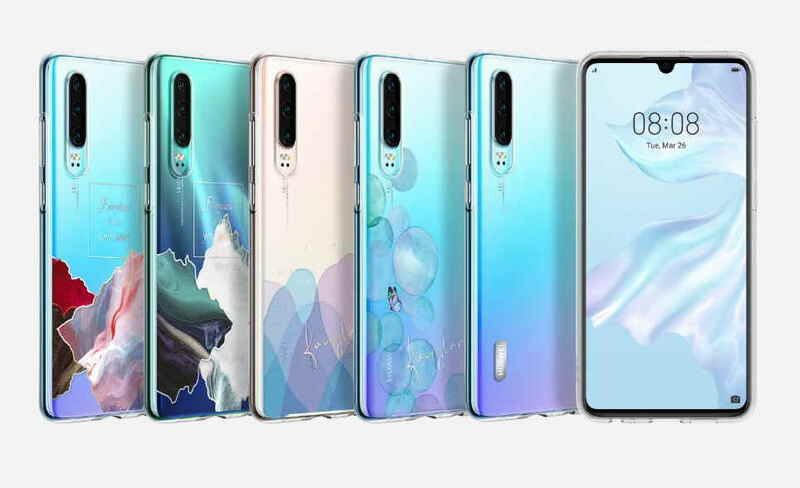 Both the Huawei P30 and P30 Pro will be available in Black, Breathing Crystal, Aurora, and Pearl White colors. Both the Huawei P30 and P30 Pro are now already up for pre-order on the official Huawei’s website for $900 (for the 6/128GB model). The Huawei’s 256GB and 512GB storage variants can be pre-ordered at $1,200 and $1,400. Now let’s check out the specifications and availability of the Huawei P30 and P30 Pro. Huawei P30 features a 6.1-inch Full HD+ display with side curved edges. The display also features an in-display fingerprint sensor The device runs on the Kirin 980 chipset and packs four RAM/storage variants – 6GB/128 GB, 8GB/64 GB, 8GB/128 GB, and 8GB/256 GB. Storage can be expanded via a Nano-Memory card. In the camera department, the Huawei P30 features a triple rear camera setup that includes a main 40MP SuperSensing Sony IMX600 sensor with custom RYYB color filter for superior low-light performance. The secondary camera goes as an 8 MP f/2.4 telephoto lens with 3x optical zoom and 16 MP f/2.2 17 mm ultra-wide sensor with the Leica branding. The camera setup also paired by a dual-LED flash and laser autofocus. The front camera on the Huawei P30 includes a 32MP sensor with f/2.0 aperture. The Huawei P30 packs a 3,650 mAh battery that also comes with 25.5W SuperCharge technology. The Huawei P30 Pro comes with a slightly bigger display that featuring a 6.47” AMOLED 1080p+ display. The display of the P30 Pro also produces the sound, that functions as an earpiece. The P30 Pro doesn’t feature a regular stereo speaker for listing sounds on the device. It also powered by the Kirin 980 chipset coupled with 6GB/8GB of RAM and up to 512GB storage. This is expandable via the new NM memory cards. The P30 Pro comes with 40W Super Charge for the 4,200mAh battery, as well as 15W fast wireless charging and reverses wireless charging.